• Librabet Casino Review - Sportsbook And Casino Combined? One day the Casino Gorilla found himself chatting to another gorilla about the best welcome bonuses they’d received. 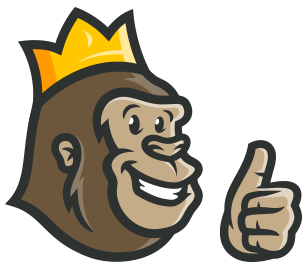 The Casino Gorilla insisted LibraBet Casino’s offer was one of the best and after signing up to the casino and receiving the bonus, the other gorilla ended up agreeing with him! You’ll receive your bonus money and 20 free spins straight away. The remaining 180 free spins will be credited to you across the next nine consecutive days in batches of 20. Once you’ve made the most of your welcome bonus, feel free to take part in the casino’s other promotions. There’s weekly cashback available, as well as regular reload bonuses. Don’t forget to work your way up the loyalty scheme: the more you deposit and spend, the more points you’ll receive and the more bonuses you’ll be entitled to. Have a look at the casino’s tournaments as well. These are exciting competitions where you compete against other players by playing select games for the chance to win a share of a cash prize. There are quite a few tournaments taking place, so don’t miss out and give one a try. It’s great using free spins because even though they’re completely free, you can still score some real-money wins. As you can see above, you’ll receive a very generous 200 free spins for signing up to LibraBet Casino. You may also be able to claim some free spins from one of the casino’s promotional offers. Keep your eyes peeled so you don’t miss out on the chance to claim more free spins! Lots of online casino promotions require you to enter a bonus code. You may have come across bonus codes before; they’re short codes that are made up of letters (some contain numbers as well). Enter a bonus code and you’ll qualify for a bonus, so long as you meet any additional requirements. It doesn’t seem that any of the promotions at LibraBet Casino require a bonus code. You may, however, find that some third-party sites have codes for the casino’s promotions listed. Or check out some of the latest additions to the slots collection, such as Peter’s Universe, Book of immortals, Temple of Nudges and Hammer of Thor. New slots are added all the time, so keep on checking back to see what all the latest releases are. Animated table games are great, but live table games are something else. These games combine the real-life gaming experience with the convenience of playing from the comfort of your own home. If you’re a fan of live games, or if you fancy trying them out, you’ll find over a dozen options for live games at LibraBet Casino. You can play live versions of all sorts of popular table games, from blackjack and Texas hold’em, to roulette, casino hold’em, baccarat and more. If you want to take all the LibraBet Casino action with you, visit the mobile casino through your web browser. You’ll be able to play loads of top-quality casino games while on the go and you’ll be able to claim all the same bonuses that are available on the desktop casino. All of the mobile casino games are designed to run smoothly and be fully responsive on handheld devices. When it comes to making withdrawals, first of all you’ll have to wait around 24 hours for the casino to process your withdrawal request. Then, you’ll have to wait an extra amount of time for your money to reach you; this varies depending on the payment method you’re using. If you’re using an e-wallet, your money should reach you as soon as it’s been processed. For other payment methods, you’ll have to wait a few extra working days. This online casino is owned by the Tranello Group of Companies and has an active gambling licence from Curacao. It’s very much committed to ensuring that every outcome of every game is completely fair at all times. The independent company TST (Technical Systems Testing) regularly reviews the casino’s games to make sure they’re unbiased. The phone lines are available from 10am to 8pm on weekdays only. The live chat feature is available 24 hours a day. It’s not stated how long you can expect to wait for a reply should you decide to send an email. LibraBet Casino came online in 2018 and has earned a pretty good reputation. This is because the casino has a very large and diverse games collection, plus it has a generous welcome offer, a rewarding VIP scheme, an online sportsbook, fast withdrawals and 24-hour live chat. The casino is aimed at both beginners and those who already play at online casinos. It has a straightforward design that makes it easy for even those new to casinos to find their way round. If you’re on the lookout for a recently launched casino that ticks just about every box there is, you should definitely consider signing up to LibraBet Casino, since it has so much to offer. 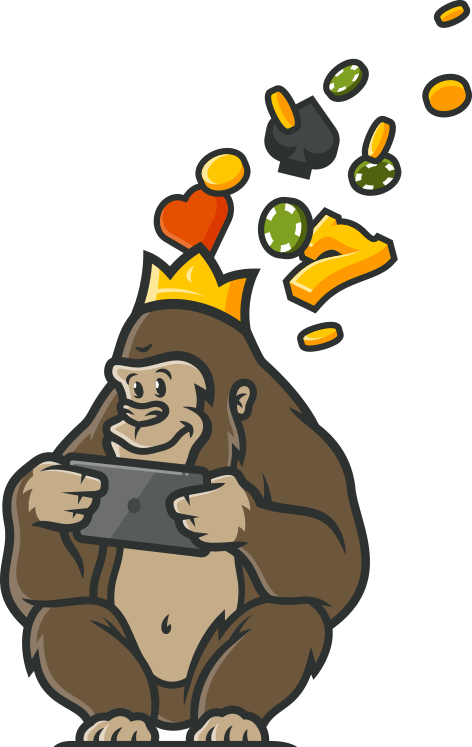 Before the Casino Gorilla knew it, lots of other gorillas were signing up to LibraBet Casino to get their hands on the bonus money and free spins. They couldn’t thank the Casino Gorilla enough for showing them a casino with such a good welcome bonus. The Casino Gorilla’s reward was a ton of bananas!